Andrew L. Hunt is a Senior Partner in the accounting and litigation services firm of White, Zuckerman, Warsavsky, Luna & Hunt, LLP. Mr. Hunt is experienced as a business appraiser and litigation consultant in the fields of accounting, economics and finance. Mr. Hunt has supervised business matters requiring the construction of economic and accounting models for the projection of lost profits and diminished goodwill, the statistical analysis of liability issues, and the preparation of schedules and graphic exhibits for trial. He has testified as a financial expert in California Superior Court, U.S. District Court, in arbitration and depositions in breach of contract cases, unfair competition, fraud and mismanagement, partnership dissolution, business interruption, business appraisal, personal injury, wrongful discharge, discrimination, and intellectual property infringement. Mr. Hunt has also testified in court relating to numerous family law issues, including business appraisal, property division, and child and spousal support. Mr. Hunt has prepared hundreds of business appraisals of manufacturing, retail, wholesale, and service business in a wide range of industries. He has prepared business valuations in dissenting shareholder cases, for estate planning, for the purpose of marital dissolution, for the spin-off of divisions, and for the actual purchase or sale of the business. Mr. Hunt co-authored a chapter for the 1996 Wiley Expert Witness Update entitled “Using Accountants As Expert Witnesses in Personal Injury Matters” and has authored other articles on the valuation of closely held businesses, the valuation of stock options, controllable cash flow and other accounting issues. While attending Ohio State University, he was a lecturer in the accounting department, school of business. Mr. Hunt has guest lectured to the UCI School of Law on forensic accounting issues. 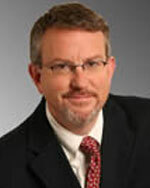 Mr. Hunt has made numerous presentations to various groups such as the American Academy of Matrimonial Lawyers, the Los Angeles Bar, The California Bar, the Association of Certified Family Law Specialists, the American Bar Association, the Orange County Bar, the Beverly Hills Bar, the Long Beach Bar, the Burbank Bar, to the International Academy of Collaborative Professionals, the California Society of CPAs Educational Foundation, and others on forensic accounting and valuation matters. Mr. Hunt is a Certified Public Accountant and an Accredited Senior Appraiser (ASA) in business appraisal. He is a member of the California Society of Certified Public Accountants, the American Institute of Certified Public Accountants, and a member of the American Society of Appraisers.